If you own a motorcycle in Georgia, you must apply for motorcycle registration in order to register it and to legally operate in it on the roads. The process of registering a motorcycle is similar to that of registering a car, truck, van or any other vehicle. You will be required to present your Georgia driver’s license. So if you have just arrived in Georgia, the first step is to obtain a driver’s license. 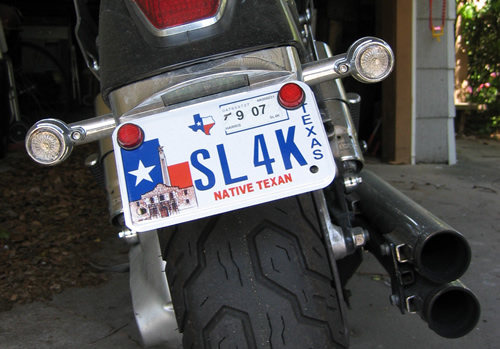 Once you have your driver’s license, you can proceed to any local county Tax Commissioner’s Tag Office to title and register your motorcycle. Georgia driver’s license or Identity card. A completed Form T-228 (Affidavit of Fact for a Motorcycle or Motor Scooter). This form must be notarized. Manufacturer’s certificate of origin, current title or registration documents to show proof of motorcycle ownership. Proof of liability insurance for your motorcycle. Documents to show proof of Georgia residency (you can use your physical address, utility bill or a letterhead that is signed by your employer). A certificate of motorcycle signed by a tag officer or law enforcement officer. Emissions tests are not required when registering your motorcycles. Ad valorem tax which varies depending on your motorcycle’s purchase price. $18 title fee and $10 fees for late registration. All fees and other charges are payable by check, money order or cash at your local Tax Commissioner’s Tag Office. Check to see whether if your county accepts payment by credit card. There are three registration periods in Georgia. Most counties in this state have open registration throughout the year. All registrations are valid for one year. If you live in a county with year round registration, you must register or renew your motorcycle registration 30 days prior to your birth date. So, you must register your motorcycle before the midnight of that day. If you live in a county with a 4 month registration period, you must register or renew your motorcycle any time from 1st January to 30 April each year. January, February, or March, you must register your motorcycle within January 1st to 31st. April, May, or June, you must register your motorcycle within February 1st to 28th. July, August, or September, you must register your motorcycle within March 1st to 31st. October, November, or December, you must register your motorcycle within April 1st to 30th.